(from L to R) Evelyn MacIver, Andrew MacIver, Doug MacIver, Meagan MacIver, and Alexandria MacIver. You may be used to seeing these guys’ television commercials – TV spots full of humor and quirks – but you can expect to see them on the television in a different respect by the end of the month. The brothers who run sales at Ride Time — Doug MacIver and Andrew MacIver — as well as all of the employees at the family-owned Winnipeg, Manitoba, used-car dealership, are set to debut in the first season of the new reality TV show, The Bargain Brothers. The series is set to premier on the Business News Network (BNN) on Oct. 21 at 7 p.m. EST. The series features the ups and downs and ins and outs of running a family-owned business, along with a peppering of best practices and insight into a successful used-car business. Besides the self-proclaimed “Bargain Brothers”, the series features Doug MacIver’s wife, Meagen MacIver; sister, Alexandria MacIver; and mother, Evelyn MacIver; as well as the stores eclectic group of employees. 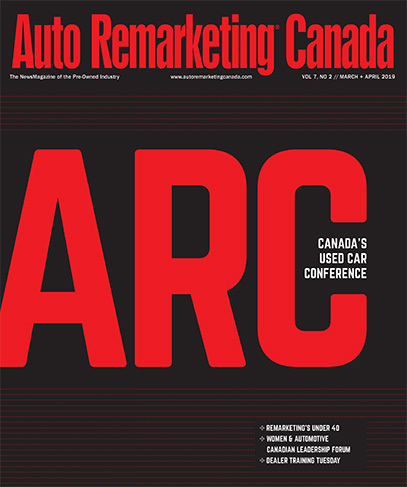 Doug MacIver explained to Auto Remarketing Canada the great thing about the show is it really appeals to a wide variety of viewers. You might be thinking, how did a car dealership make it onto a reality television show? 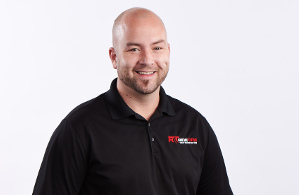 Doug MacIver explained to Auto Remarketing Canada his brother Andrew had been watching the Business News Network one day and noticed a couple of advertisements that stated the network wanted to speak to you if you owned a family business. Intrigued, the brothers put together a brief email of some of their TV commercials and gave the network a brief rundown of their story. Ten days later the dealership got a phone call from a TV producer in Toronto who explained the network was looking to do a reality TV show on a family business. After the producer sent the Skype interview to the network, she told the dealership they might hear from the network sometime in the summer, or about three to four months later. Four hours after the network received the interview, Ride Time got a call. “The network loved it and ended up buying the first season, which consists of six episodes,” MacIver said. Interestingly, though a reality show at a car dealership might not be something you see on the TV every day, it wasn’t a new idea to Doug MacIver; it had come up many times with his late father Doug MacIver Sr.
“My dad was a typical car guy, a bit of a wild man – but a genius marketer. He had a couple of franchise stores, and we would always joke and said it would be so funny if we had a reality TV show. We heard that from a million people,” MacIver said. MacIver said some colleagues showed friendly envy at the press the dealership was getting, but he says it’s not really about the store. “I’ve got some friends in the automotive world, and some of them say, ‘Well, we are so jealous you got a show’, because they think we got the show because we have a car dealership, but that’s not how the show happened, it was a call for family business. We just happened to be in the car business,” he explained. As for the working with your family, day in and day out, MacIver says it has its ups and downs, just like any business, but at the end of the day, there is a freedom that comes from working with people you know will still be there at the end of the day. “Obviously, there are things you can say to your family members you couldn’t necessarily say to an employee, because the family member is going to forgive you and it will all be over,” he said. “It’s been interesting since we have started this, I have heard a lot of times from people that family businesses are normally not successful. This is the only thing I have ever known, and we have been fortunate to be as successful as we have been. But I can see why people say that, because there are a lot of things you have to brush off and go to work with a smile on your face and get better every day,” MacIver continued. Many reality shows today are scripted and come off as fake or stilted. Doug MacIver said they wanted to try to avoid that, but of course, the family isn’t full of actors. That said, when asked if it was hard to remain natural on camera, Doug MacIver said it came pretty easily. “I played pro, or semi-professional hockey for nine years, so I was already comfortable on cameras. And when I came back home, my brother and I started shooting these TV commercials of ours for the store. We do some funny stuff. So the first couple it was a little tougher for him, but now he is a natural,” he said. He explained the family was a bit hesitant at first because they didn’t want the show to come off as fake. “We shot over half the year last year pretty much. By the end, everyone was super natural, and it comes across great. We have all been blown away by the quality of the episodes,” he added. The MacIver brothers are big on marketing – and there’s nothing quite like a TV show to get people’s attention. “The interesting thing was when we started this journey is a lot of people asked us if we were worried if they would make us look bad,” said MacIver. “Those are values that have made us successful. The only way someone could make us look bad is if we were doing bad things. So introducing cameras into our lives, it’s just our life, right? Through our TV commercials, our personality has already been part of our brand, and that helps customers come to us,” said MacIver. But when the team at Ride Time agreed to take on the TV show, business wasn’t the main concern. “It wasn’t so much that we were thinking of the business opportunities that came with the TV show, it is just another avenue through people can see who we are. I’m sure business will most likely come through this, but it’s mostly a great opportunity to that no one really gets,” MacIver said. “My brother always says if no one watches the show, we are going to have six really great family videos,” he added. In the promotional videos for the show, MacIver expressed a desire to become one of the biggest used-car dealerships in North America, following in his father’s footsteps, who once owned the largest Chrysler store in Canada by volume. The family made the switch to used cars in the mid-2000’s. “We started out pretty small, but we don’t really have any limitations set forth by the manufacturer, and that has been liberating to a degree – of course there are benefits of having franchised stores. We may get back into that one day, but we believe we have built a pretty strong brand with Ride Time,” said MacIver. He says the time is ripe for used-car growth, as the industry has made it through the “new-car wave,” and used-car prices are beginning to soften at auction.